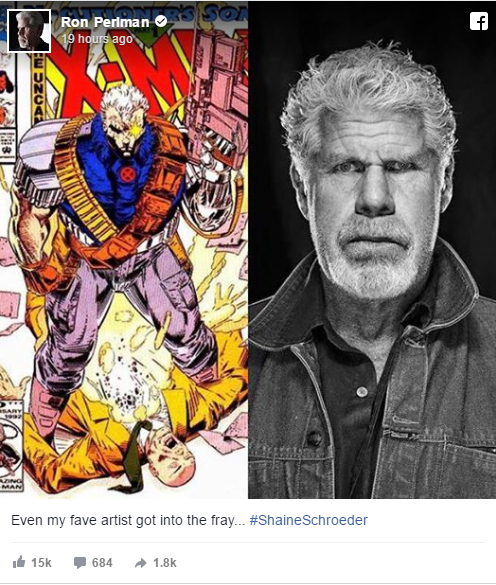 Ron Perlman bids for the role of Cable in Deadpool 2! Deadpool, which opened in theaters this February was released on DVD and Blu-Ray May 10th after earning $762.4 million against a lowly $58 million production budget. Deadpool was both a commercial and critical success and has inadvertently inspired movie studios to release more R-rated comic book movies, despite ethe fact that Deadpool's success comes from the dedication of the cast and crew and their love for the source material. Although both Batman v Superman: Dawn of Justice and Captain America: Civil War may have earned more in their box office takings, less their production budgets Deadpool is still the most profitable comic book movie of 2016. Deadpool 2 is expected to open in theaters in 2017 with screenwriters Rhett Reese and Paul Wernick, Director Tim Miller and star Ryan Reynolds all returning. Despite being linked to the X-Men movie franchise through the characters Colossus and Negasonic Teenage Warhead, producer Simon Kinberg and director Miller are hopeful for a crossover with Marvel Studios and Sony Entertainments latest incarnation of everybody's favorite teenage wall-crawler Spider-Man; a move which could bring all of Marvels movie assets together into the much coveted MCU. 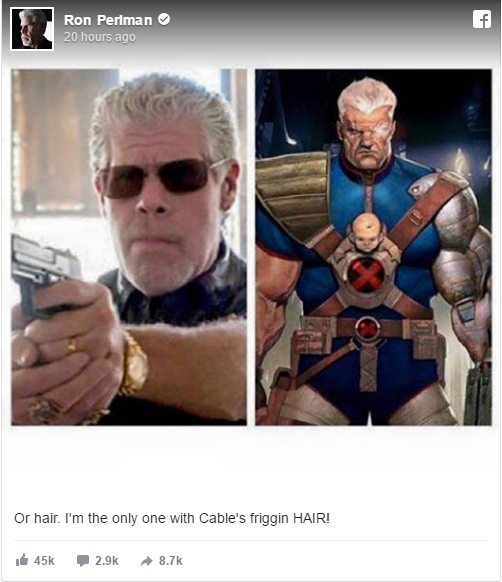 0 Fan responses to Ron Perlman bids for the role of Cable in Deadpool 2!